Whatever the theme or celebration let us create a cake that is completely personal to you and your event. 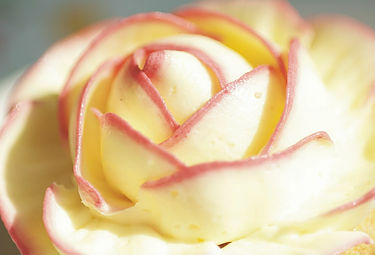 Prices for simpler cakes start at around £180…. 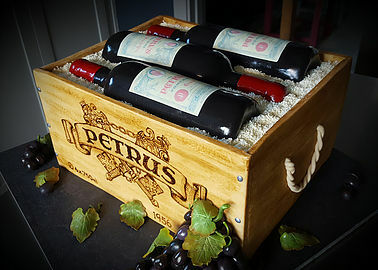 The ‘Case of wine’ cake pictured here will feed 100 people and is priced at £495. Cakes are priced partly according to size, but mostly by how many hours/days they take to create. 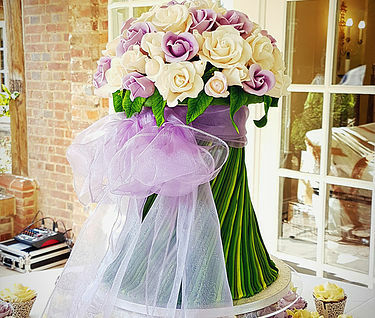 Particularly popular for birthdays, a ‘bouquet cake’ is also a fabulous idea for a wedding, and can be created to exactly match or to echo the bride’s flowers. Let your imagination run free and picture flowers in posies, in ‘shabby chic metal buckets’, in ‘wicker baskets’, or in beautiful handpainted ‘china vases’. ​Cupcakes can make a fabulous display as a centrepiece, and also can act as party ‘favours’ for guests to take home individually. Stacked high on a stand, displayed as a swathe of colour on a table, or gathered together into ‘bouquets’ they are ever popular for all kinds of events. Prices from £36 per dozen… Minimum order 2 dozen.